The home buying process has many different aspects to it which are linked together. One has to conceive it thoroughly and get to know all the fundamentals in the world of real estate. One of the major element of it is ‘Property Chain’. Here, we will be explaining, everything about property chain. Scroll down to dive in deep. 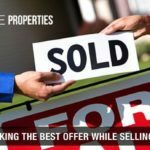 To be explained into simple words, property chain is a full-fledged system where people buy and sell properties from one person to another, meaning; when you a buy a home from someone, they’ll be moving to a new house, which eventually means even they have purchased the place from someone so on and so forth, it continues. This type of transaction is known as an upward chain. A property chain mainly consists of two people or two parties (i.e. the sellers or buyers). Further, it can increase the number of people involved. 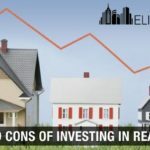 The linking starts with an individual who yearns to buy a house and ends on the one who only wishes to sell and not buy these are two different things. The case is different when you buy the home for the first time; first time buyers’ chain only moves upward in the same direction reason, you do not have to sell a property for buying a new one. The transactions or chains consist of many people namely a chartered surveyor, mortgage lender, appraiser, real estate agent and many more, which means more addition to the rest. It is required for everyone to fulfill their due-diligence in a timely manner so that the process doesn’t lack behind. If anyone from the chain fails to do so the progress of the process will decline to lead to a slower pace of the sale process. 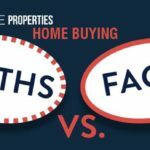 As the home sale process has many chores that have to be achieved in the given time frame, like getting an approved mortgage with specified principles including the closing date; the process can be time-consuming and lengthy. While conducting these steps, there is a high chance of missing out on things which could delay the deal. Making a deal and agreeing upon property SSTC. Choose a first-time buyer, as they are not in chain. Sell your house fast for cash and move in for a rented lodging. By doing this you are eluding yourself from the chain. 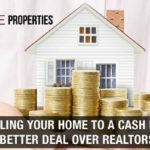 This could be an advantage for you while making a deal, as a chain-free buyer, you’ll be enticing more sellers. If you have your finances in place and are looking for multiple options in property, always opt for upward chains which are short. Example: if the seller has a second property and doesn’t plan to move in it voila, you are sorted. If you have to sell your property, a real estate developer may ask for a part-exchange. Here the developer will purchase your property as-is to make it a fast-paced process although, as they will be buying home in an as-is condition you are not expected to keep hopes of high returns. 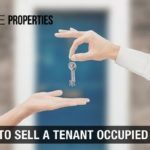 If you are in a tearing rush, you can find a seller who agrees upon the move-out date regardless of they have a property previously bought or not. Sellers in some cases eventually end up agreeing to move for a semi-permanent stay as they want to skip the chain. There are many possible reasons for a chain to fall-through, according to a survey around three cases out ten i.e. 28% have witnessed major fall-through while purchasing properties. In many cases, the major fall through occurs from buyers side and the rest remaining were sellers who pulled out the deal as the process is apparently prolonging and energy-consuming. mortgage loan for what they previously agreed on. As a piece of advice, it is highly recommended- if you are going through from any of the above situations you should sort them prior to finalizing or even making an offer. If you are on the seller’s side make sure your real estate agent does his due – diligence and assures that the buyer is not suffering from any of the reasons stated above. When you are in a chain, losing a purchase would cost you thousands of dollars. Breaking the chain is the possible thing you could do, there are three ways to break the property chain. Sell Before Buy Later - here for simultaneous purchases you don’t have to negotiate on the price or time and as a bonus, the seller will reduce their prices reason being they will be selling the property with a tag of chain-free. Obtain A Bridging Loan -bridging loan allows you to purchase your dream home. If the sale process prolongs then repayment could be pricey over the duration. Extension Of The Current Mortgage -collecting money over the present property will help you contribute to deposit money for your new place or you could rent a part of your residence to meet the mortgage payment. 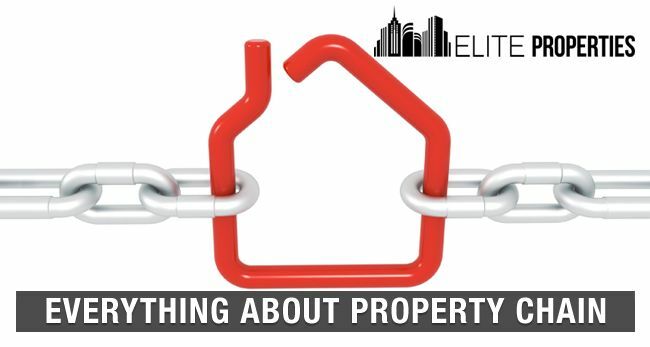 Hope we were able to counter your queries about property chains if you want to know more about them or any real estate related crisis we will be happy to help with a solution. If you are residing in New York then get in touch with us at ‘Elite Properties ’, we’ll be happy to cater to all your queries.